Falling is the second release from, Memphis TN based band, Glorie. Their first self titled release was a gem, and this new release is a step up from that. This EP is 5 tracks coming in at 23 minutes. This is an instantly endearing EP to listen to. The opening track, Sunshine Then Tears, starts off with amazing keys and has vibes in the background and it drives and drives and just has such an incredible melody. Everything is just great in this track They actually slow it all down at and keep that slower tempo going to the end of the song. Track number 2, Run Away, then kicks in and the Glorie sound continues. This track has a similar tempo to the first track and a similarly complex, uplifting sound with amazing melodies and musicianship. The tracks are not long, mostly around 4 minutes or so but they pack a lot into them. The tempo does change for track 3, Smoke, it si slow and moody, more darker than the previous two tracks. More string heavy on this track, it twists and winds its way through the song with those vibes intercepting at every opprotunity. The title track, Falling, starts off with a melee of sounds, in readiness for the main part of the song to kick in. And kick in it does, haunting piano melody, strings playing out the main melody. The last track, The Lotus, i think this has my favourite instrument interplay on it. This EP has 5 tracks, and that is 5 quality tracks. Glorie have stepped it up a notch with this EP. Looks like they also have lots more to be offering in future years. This EP confirms that this band are going from strength to strength. Instrumental,experimental band, Glorie, was formed in Memphis in the spring of 2009 by former Satyrs frontman, Jason Paxton. The other members of Glorie (Jonathan Kirkscey, Rob Brimhall, Andy Saunders, and Jeff Hulett) come from diverse musical backgrounds and have performed with an impressive array of artists such as Cat Power, Jay Reatard, The Bloodthirsty Lovers, Snowglobe, the Memphis Symphony Orchestra, and Al Green. The band started as a desire to create substantive, engaging instrumental music with a strong focus on melody. Their music blends acoustic, electric, and electronic sounds and draws inspiration from many genres including rock, classical, and instrumental hip- hop. 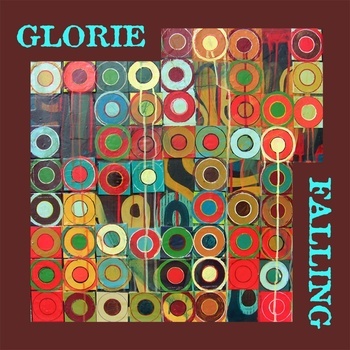 Glorie follows up on their well received 2011 self-titled debut with their new EP, Falling, showing off more of their classical influence with the string section taking on a prominent role. Driving rhythms and diverse instrumentation including lush strings, guitar, piano, electric piano, and vibraphone, Glorie creates a thick wall of sound with a cinematic quality. This entry was posted on March 25, 2013, 4:19 pm and is filed under Playlists. You can follow any responses to this entry through RSS 2.0. You can leave a response, or trackback from your own site.